Well, it’s not a surprise! 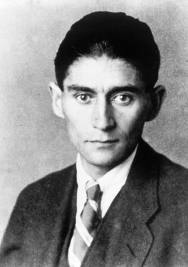 your post reminded me of a time over 20 years ago when I was at the doctors for an injection and the nurse saw me reading Kafka and she said “you must be the fainting kind”. Thats hilarious, Andy! That makes me want to start bringing Kafka to all sorts of places. I could not agree more – unbelievable. I’m putting this on my blog, thank you. Do it! Thanks for the comment.